Our Beach Volleyball set features a regulation size net and complete set-up. We set it up each morning and take it down about an hour before sunset as per Gulf Shores and Orange Beach regulations. To book your item. 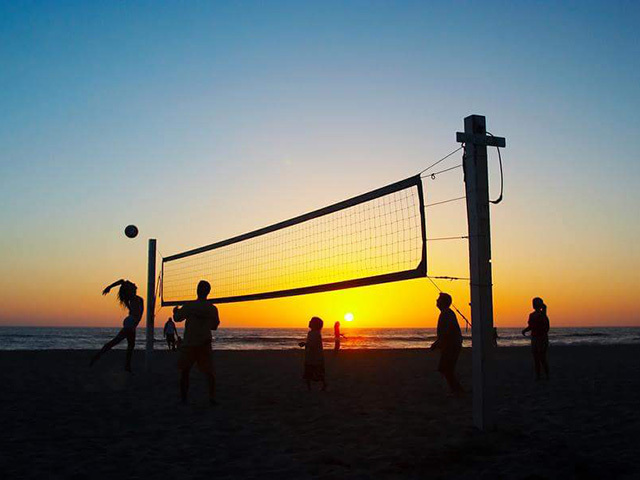 Just select the number ofBeach Volleyball sets you want and the date you want the item(s) delivered and set-up. Then hit “Book Now”. The rental is for 7 days of great volleyball fun…all you need is a volleyball and some people…we provide the rest.